Management education provides the basic principles and skills for successfully handling the real life business problems. Qualitative B-school learning strikes an impeccable balance between theory and practice to groom the future action oriented leaders. School of Management offers two years Graduate Programme in Management (MBA) and subsequent research activities such as doctorate in Management and interdisciplinary fields. Click on the link to read more - School of Management. BPCL team welcomes all your suggestions, feedback and active participation to improve this library guide (LibGuide) using Feedback & Suggestion or mail to HOD, BPCL at library@nitrkl.ac.in. How to Locate Management Books in Library? Example: 658 for Business Organisation and Management. Example: a book titled Business Organisation and Management written by M. C. Shukla and author code is: SHU/B. The complete Call no. would be: 658 --- Class No. Below are select list of topics and their respective call nos. of books related to Management. Emerald Publishing was founded in 1967 to champion new ideas that would advance the research and practice of business and management. Emerald manages a portfolio of nearly 300 journals, more than 2,500 books and over 1,500 teaching cases. Harvard Business Publishing (HBP) was founded in 1994 as a not-for-profit, wholly-owned subsidiary of Harvard University, reporting into Harvard Business School. JSTOR provides access to more than 10 million academic journal articles, books, and primary sources in 75 disciplines. We help you explore a wide range of scholarly content through a powerful research and teaching platform. Elsevier’s leading platform of peer-reviewed scholarly literature. ScienceDirect combines authoritative, full-text scientific, technical and health publications with smart, intuitive functionality so that users can stay informed in their fields and can work more effectively and efficiently. J-Gate Custom Content for Consortium (JCCC) is a virtual library of journal literature created as a customized e-journals access gateway and database solution. It provides access to 7900+ journals subscribed currently under UGC INFONET Digital library consortium as well as university libraries designated as Inter Library Loan (ILL) Centers besides index to open access journals. Prowess is a database of the financial performance of Indian companies. Annual Reports of individual companies is the principal source of this database. 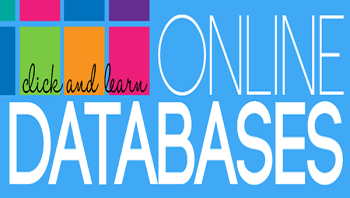 The database covers listed and unlisted companies. For listed companies, the database includes data sourced from the stock exchanges. Prowess contains time-series data from 1989-90. It is updated continuously. Click here to know how to access ? Scopus is the largest abstract and citation database of research literature and quality web sources. It’s designed to find the information scientists need. Quick, easy and comprehensive, Scopus provides superior support of the literature research process. ISID a sponsored institution of the Indian Council of Social Science Research (ICSSR), is a public-funded, non-commercial research and development institution in social science. ISID has developed databases on various aspects of the Indian economy, particularly concerning industry and the corporate sector. It has created On-line Indexes of Indian Social Science Journals (OLI) and Press Clippings on diverse social science subjects. (formerly Web of Knowledge) is today's premier research platform, helping you quickly find, analyze, and share information in the sciences, social sciences, arts, and humanities. You get integrated access to high quality literature through a unified platform that links a wide variety of content with one seamless search. NIT Rourkela is having access to following patent resources. Engineering Village, the essential engineering research database, provides a searchable index of the most comprehensive engineering literature and patent information available. Scopus is the largest abstract and citation database of research literature and quality web sources. It’s designed to find the information scientists need. Web of Science is an online subscription-based scientific citation indexing service maintained by Thomson Reuters that provides a comprehensive citation search. Patent information can be searched using this product. Follow the procedure to search patent; Select All Databases -> Search your related term -> Select Document Type "Patent" from Refine Result -> Click on Analyze Results -> Select Analyze -> View Records. The EPWRF India Times Series (EPWRFITS), interactive online database launched in January 2011, is an initiative taken by the EPW Research Foundation (EPWRF) with an aim to provide credible time series data facilitating research across various sectors of Indian Economy. Its is a leading global non-profit organisation that provides persistent identifiers (DOIs) for research data. Our goal is to help the research community locate, identify, and cite research data with confidence. Glossary of statistical terminologies and jargons. A flash based glossary explain terms with picture based examples. InTechOpen is the world's largest Science, Technology and Medicine Open Access book publisher. With a goal to provide free online access to research since 2004. The Directory of Open Access Journals was launched in 2003 at Lund University, Sweden. Presently contains 9000 open access journals covering all areas of science, technology, medicine, social science and humanities. The Indore Management Journal is published by the Indian Institute of Management, Indore, with the belief that management scholars and social scientists should integrate disciplines in an attempt to understand the complexities of contemporary management challenges. A list of open access business journals (i.e. business journals with free articles). The list may include some journals which are partially open access (with most articles being available for free). The Open Access Journals was founded with a mission to develop a reliable platform and to provide unrestricted access to scientific literature for rapid dissemination of recent updates in various disciplines of science and technology. The OAJSE service covers free, full text, quality controlled journals. We aim to cover journals in all subjects that are published in English language. There are now 4,775 journals in the directory. Press Academia publishes periodical journals in the area of economics, finance, accounting, auditing, marketing, management, strategic management and all other business related areas. Journal of Research in Business and Management (JRBM) is an international journal for publishing research papers of Management and Business. Routledge publish high quality, rigorously peer-reviewed open access (OA) research across the Routledge Business, Management and Accounting journals portfolio. The articles are freely available on publication to read online. Science Publications is a commercial STM (Science, Technology, and Medicine) publisher of peer-reviewed, open access academic journals covers Business & Economics also. SpringerOpen, launched in June 2010, includes Springer’s portfolio of 200+ peer-reviewed fully open access journals across all areas of science. And these are made freely and permanently available online immediately upon publication.